A great little package that finally gives the Liverpool scene its due – especially during a time when many other English cities are credited with helping to shape the sound of modern music! 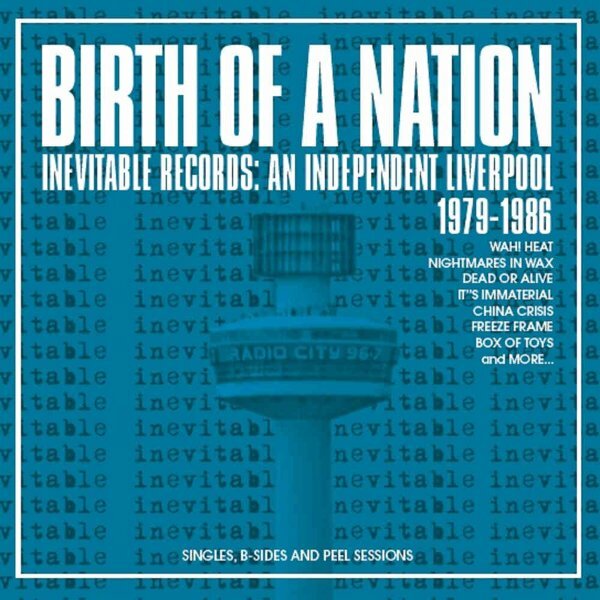 Late 70s Liverpool had little going on since the Beatles and Brit Invasion groups – but the rise of Inevitable Records gave the city a great voice to challenge the other punk and post-punk material of the time – and stood as an important stepping stone for a number of acts who went on to much bigger labels during the 80s! This package brings together all the a- and b-sides of Inevitable, along with replicas of all their cool 45rpm sleeves – important, as the label mostly just issued 7" singles – but with a force that has become legendary over the years. The package features 2CDs that bring together these singles, by groups who include Wah Heat, Dead Or Alive, Modern Eon, Nightmares On Wax, China Crisis, It's Immaterial, Faction, Freeze Frame, The Light, Builders, Box Of Toys, and Venus Adore – plus a full extra CD of Peel Session material from the early 80s by some of the biggest groups in the set! © 1996-2019, Dusty Groove, Inc.